Clear Coffee – No Stains! How many times have you spilled your coffee, and then had to deal with the dark stain left behind? My desk and papers are littered with coffee stains. 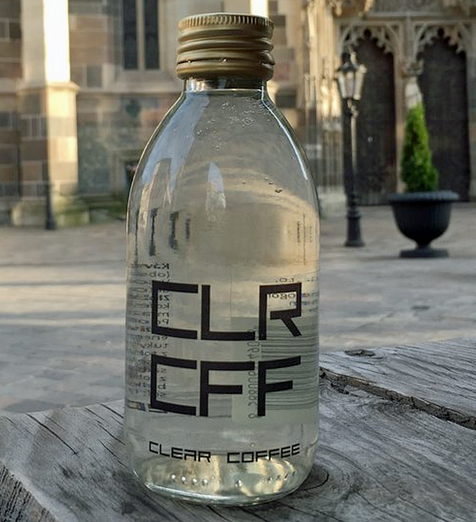 But, those days are nearly at an end, thanks to CLR CFF – billed as the world’s first clear coffee drink. The new beverage is made from Arabica coffee beans and water using a product method that makes the coffee colorless. The coffee does not have any preservatives, artificial flavors, or other sweeteners, giving the drink a low calorie count with only four calories. And of course the best part – if it spills, no stain! Unfortunately for all U.S. coffee aficionados (who might be a little clumsy), CLR CFF is only available at select locations in the U.K. and Slovakia, or from the company’s Web site. So for now, be careful not to spill your current cup of coffee! Divide students into teams and have each team develop a profile of a target market for this product. Include demographics, psychographics, behaviors, values, attitudes, etc. Based on the target market profile, what makes this product ideal for these customers?